Frugal Fashionable Farmer: beautiful moment. much needed gratification. I posted a video yesterday evening on Facebook (it is at the bottom of this page), but I wanted to explain a little more in depth about why I was so happy about this moment - the story of my journey this far with Rose, and how rewarding this moment was for me. 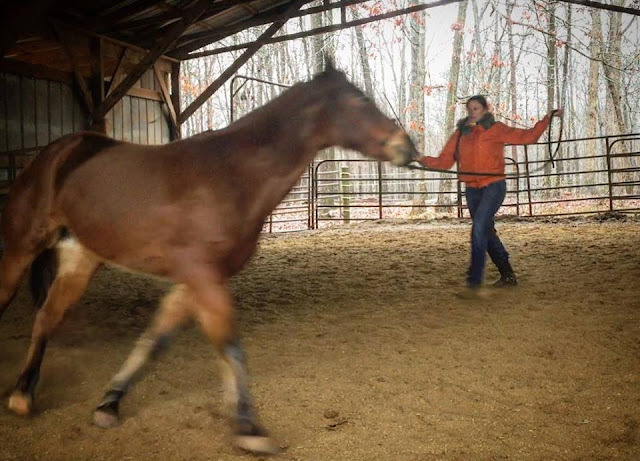 It has been eight months since Rose has been out at the farm, and just over a month since I had my few lessons on how to properly lunge a horse. 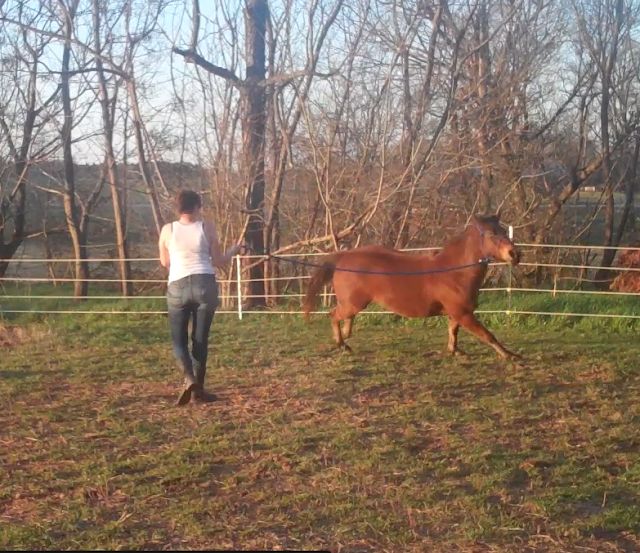 Just over a month ago lunging was something that was foreign to Rose and something I had not ever attempted. Yesterday while I was raking manure into a pile, Rose came to me as if she wanted to be asked to do something. I had not planned on lunging her, so I didn't have her lead or whip (which is used to pop the ground behind her feet - not to whip her). 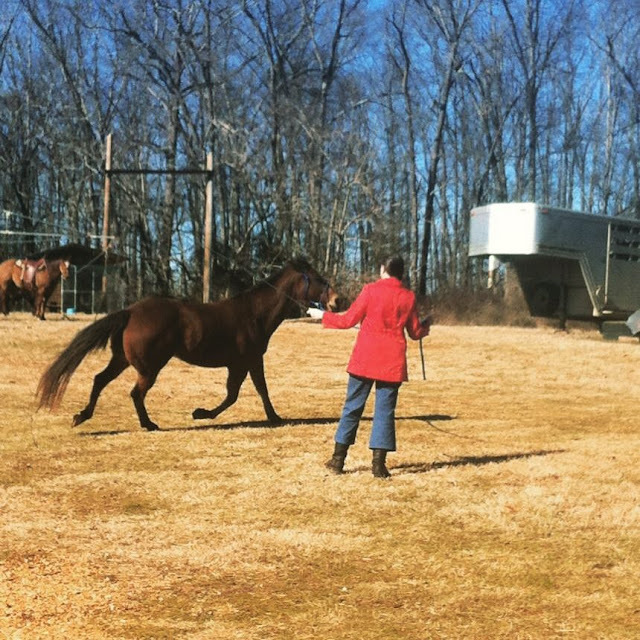 I have NEVER loose lunged her without the whip in my hand - mainly because of my fears about horses (that are slowly diminishing, but still an issue I continue to work through), I just feel better with that whip in hand in case I need to snap it to get her out of my space. I've never had to use it for that, but it has just been one of my fears. I put the rake away and had my phone in my pocket, so I decided to record what I could for my trainers to see, so they could give me some feedback. It was so 'spur of the moment' and I had no time to envision what might go wrong (which I normally do because I have always been fearful of the power of these animals), and I JUST DID IT. I loose lunged her and it was perfect. 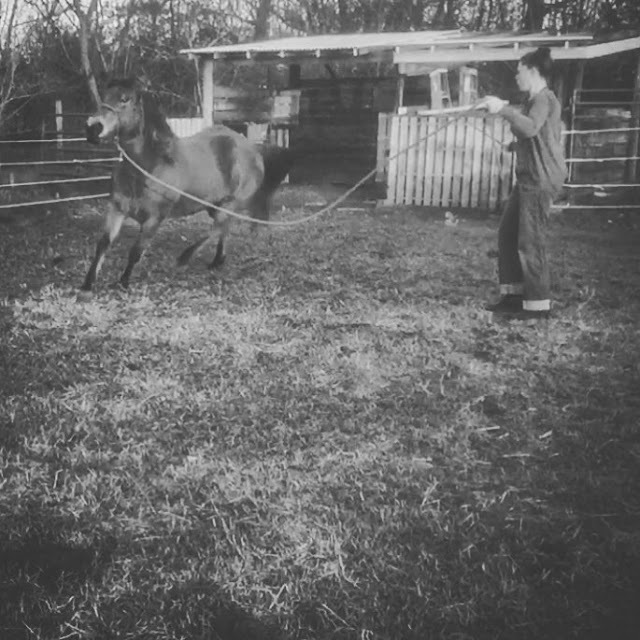 I only did it for a minute because I had plenty to do before the sun went down - waters to fill, manure to move, and hay to dole out, but Rose did it! I even switched directions and she didn't fuss! 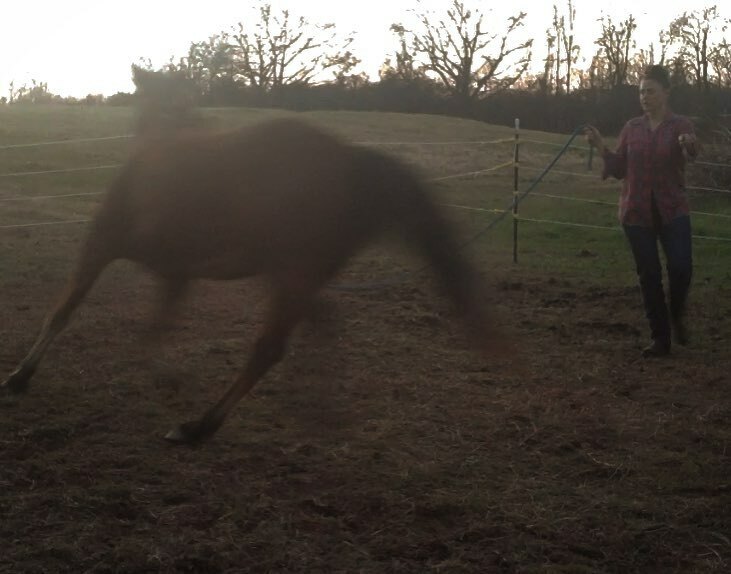 I was so happy about that one short minute and immediately sent it to my friend Holly (my horse guru) and told her how excited I was - and how part of me even felt silly for getting so excited because it's only 53 seconds of a horse running in circles around me, but for me personally, that tiny bit of time put me on top of the world for that minute! We got dumped on last night so the ground will be too wet for me to work with Rose the next few days, but I think Ed is coming out to check on us both this weekend. Maybe things will go smoothly for my little 'progress checkup"! Happy Wednesday, y'all! I am off to get ready for work - xoxo!